Parrot Key Hotel & Villas provides the most well thought out, clean, and nature-inspired guest rooms in all of Key West. Our rooms, suites, and villas are among the island's most spacious, offering a choice of lush tropical garden views or expansive water views. Our standard Key West guest rooms are anything but standard, giving guests a true escape from the hustle of everyday life and a true immersion into the island lifestyle. Our two queen bed or king bed guest rooms offer a porch and your view of choice — lush garden or the stunning Gulf of Mexico. And of course you can upgrade your island getaway by staying in our suites and villas. This is your chance to experience island life at its finest. It’s time to kick back, let loose, and live the island life here in Key West. If your ideal getaway oasis consists of both a waterfront view and a view of lush, tropical greenery, our partial water view rooms, suites, and villas will be your ideal home in Key West. Experience waking up surrounded by wild mangroves, and hear the birds chirping outside your window. And in the evening, be lulled to sleep by the sound of the Gulf of Mexico washing up to shore. With our partial water view accommodations, you get the best of all worlds, creating the ultimate island experience for you in Key West. When you close your eyes and dream of the perfect paradise vacation, what do you see? An unobstructed view of the water right outside your bedroom window, of course! Yes, us too. 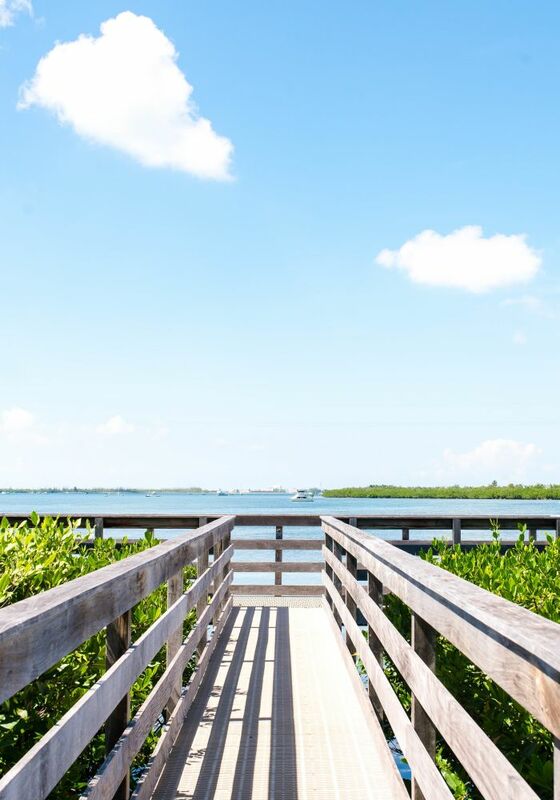 That’s why our waterfront accommodations provide you with the most elevated, island escape experience. Soak in the island breeze every morning and every evening from your sand terrace overlooking the Gulf of Mexico. Feel the balmy air with the calming water just outside your doorstep. And of course, outside your accommodations you’ll be greeted by lush tropical foliage and our four glimmering pools. Experience the carefree island life exactly as you’ve always dreamed of in our waterfront rooms, suites, and villas. Enjoy the paradise vacation you’ve always imagined in our Waterfront King guest rooms. Experience living right in the middle of paradise. Dive headfirst into the island life and soak up the beautiful views of the Gulf of Mexico from your Waterfront Double Queen Guest Room. Sink into plush accommodations surrounded by paradise. In our Partial Water View King Suite With Living Room, soak in the entire island life experience. Enjoy extra-living space in a beautiful two-bedroom suite with partial water views. Enjoy the Tropics with your closest friends and family. Our Villas are ideal for groups of friends and big families coming to the Keys to celebrate joyous occasions — island style! This three-bedroom Key West villa offers both privacy and ample shared space for family or friends traveling together. Featuring a porch with garden views, these spacious rooms include a separate living room and are accessible via an ADA-compliant lift.